Our theme for this year’s congress was “Outbreak Investigation: Science and Intuition” and we want congratulate and thank all the presenters who made this years congress a successful event. Dr Frederick Kivaria from Tanzania unfortunately could not join us as a result of a work commitment but he graciously allowed his work to be presented on his behalf. 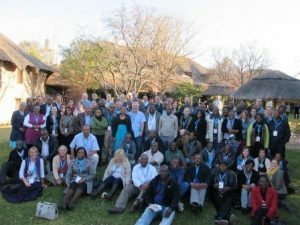 The information on PPR in Tanzania was very interesting and important to most of the audience as the attendees of this congress would be involved should PPR extend further south into South Africa and its neighbors. Professor Lucille Blumberg once again provided a fascinating series of talks on the human health aspect of outbreak and outbreak investigation and kept the audience on the edges of their seats. We are also very happy to announce that Prof Blumberg receives SASVEPM’s annual Epidemiology Prize for 2012 for her contribution to the society and its objectives. Well done Lucille! The recent CEM outbreak in horses in RSA was presented by Prof Alan Guthrie and the team that had first hand experience in this outbreak – this included Dr Martin Schulman, Dr Kate May and Dr Bronwyn Keys. This outbreak is a reminder that exotic diseases do unexpectantly occur from time to time and it is necessary to be on the lookout for them. 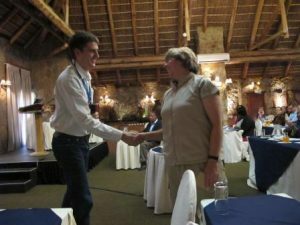 The rest of the presentations were very informative and we would also like to congratulate Dr Derryn Petty for winning the prize for the Best Presentation which discussed non-typhoidal salmonellas in the Gauteng region. 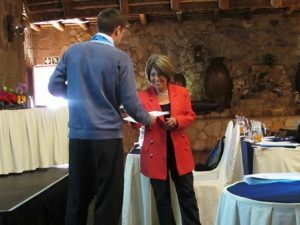 Thanks to Adri Fischer from Kingfischer Conference organisers for all her hard work! The EXCO looks forward to seeing you next year.